Born from Kanagawa Prefecture.Reside in Hachioji City, Tokyo,Japan. In 2011, I started learning balloon art with the Syouichi Matsushita,japanese balloon performer. Graduated from Emily's Balloon Art Business School (highest grade) in 2016. Learn gift making, decoration and special production handling balloons. Make everything in front of you a repertoire. 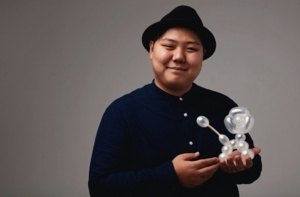 young and energetic,Fat balloon artist. Japan Balloon Artists Network [JBAN] Convention 2014 [Large Sculpture Competition] 1st Place,Team Victory. Japan Balloon Artists Network [JBAN] Convention 2015 [Large Sculpture Competition] 1st Place,Team Victory. Japan Balloon Twisters Convention [Twisters] 2018 in Aomori [3on3 Competition] 2nd Place,Team Victory.